This is my absolute favorite soup of the season. I created it because I wanted a creamy, hearty soup that would become a family favorite. It had to be hearty enough to suffice as a full meal for a hungry teen and even hungrier husband. All I can say is that I now have to make a huge pot every week now. My Red Lentil Coconut Quinoa Soup is indeed a big hit! Add the onions, leek, and carrots. Saute until the veggies have softened. Add the garlic, cumin, and black pepper, chili flakes, and saute for another minute, stirring. Add the lentils, quinoa, broth, and tomato paste. Stir well. Turn down heat, cover the pan, and simmer for 30 minutes. Use an immersion blender to blend the soup. 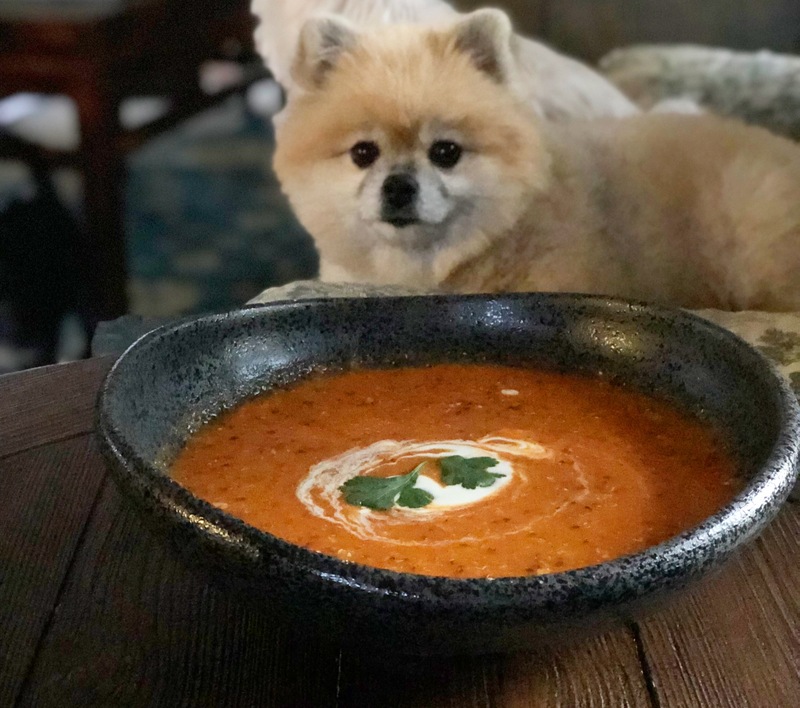 You could pop it into a blender, but my Vitamix over blends it because I do like the soup to have texture – you want to be able to see the quinoa! If you have blended it in a blender (I use my immersion blender in the pot), pour the soup back into the pot. Warm it through over a medium heat and stir in the coconut cream. If the soup is too thick, add a little filtered water to get the consistency you want. Add the lemon juice. Season to taste with sea salt. Serve in warmed bowls, and sprinkle with freshly minced parsley.